Planned Parenthood supporters and defenders often present the nation’s largest abortion chain as if it were a medical charity that altruistically serves poor people. Planned Parenthood provides an array of health care to patients across the country. They help over 2.5 million Americans each year. Planned Parenthood mostly helps low-income people. Four out of five of those who benefit are at or below 150% of the poverty line. Every conversation about banning Planned Parenthood from Medicaid should go beyond that vague, bureaucratic language and focus on the people who stand to lose the most. For low-income men and women, access to Planned Parenthood may literally be a matter of life and death. If only their members of congress acted like they cared (see here). What people like Bernie Sanders and Rebecca Ruiz NEVER talk about is how much PP CEOs make every year in their allegedly altruistic service of the poor. Cecile Richards, the president of PP, makes $957,952 annually. But what about the other CEOs? Did you know the average PP CEO salary is $237,999 per year? Want to know how much the PP CEO in your area is making? 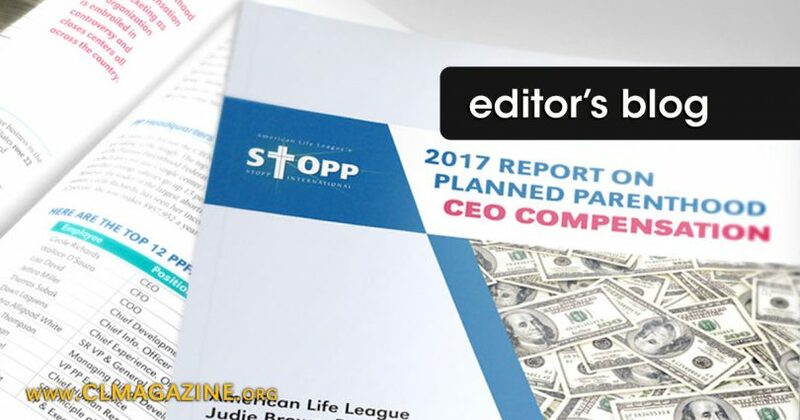 Download a free copy of STOPP’s 2017 Planned Parenthood CEO Compensation Report here. Planned Parenthood and its supporters like Sanders and Ruiz do not want you to see this! PRO-LIFE BASICS: What’s wrong with using a condom?